During the mid-nineteenth century, Paris was the epicenter of the art world, luring artists from around the globe to its academies, museums, salons, and galleries. Scores of women artists traveled to the French capital to develop their art and further their careers, yet despite the city’s cosmopolitan character, gender norms remained strikingly conservative. 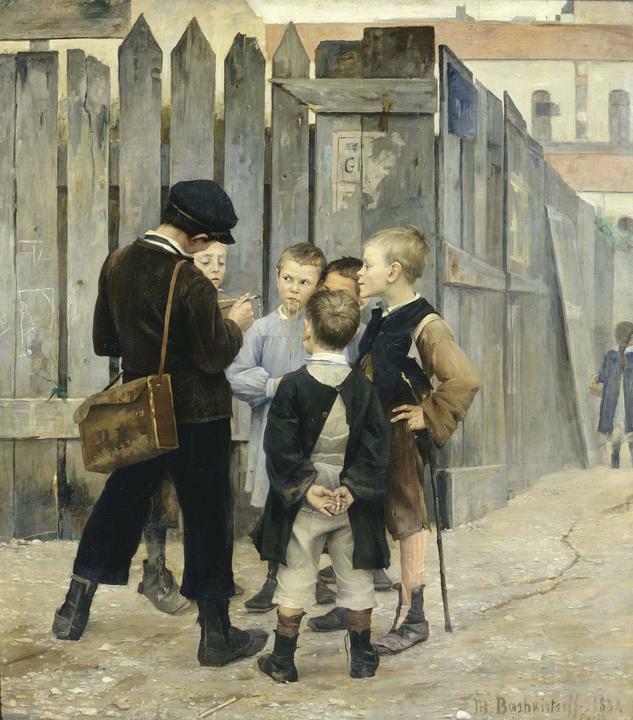 Only later in the century did French women gain such fundamental rights as receiving a secondary education (1879), opening a bank account (1881), and obtaining legal guardianship of their children (1907). Women were not allowed to attend the École des Beaux-Arts – the country’s most important art academy – until 1897. 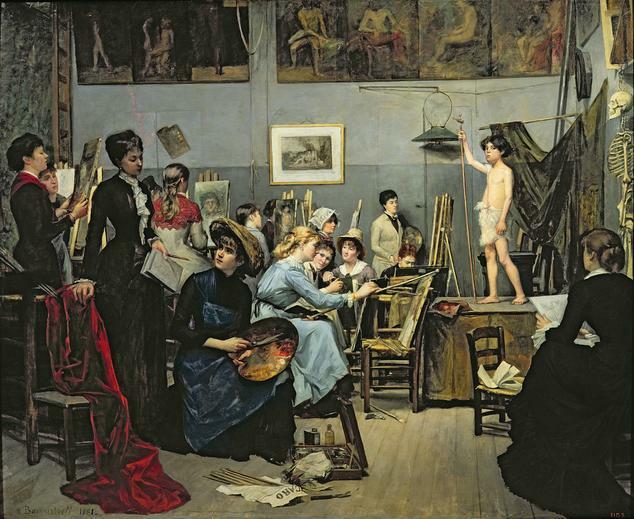 Barred from this prestigious institution, and largely unable to participate in the Salon system, women pursued alternative venues by attending private academies, exhibiting independently, and forming their own organizations, such as the Union des Femmes Peintres et Sculpteurs in 1881. 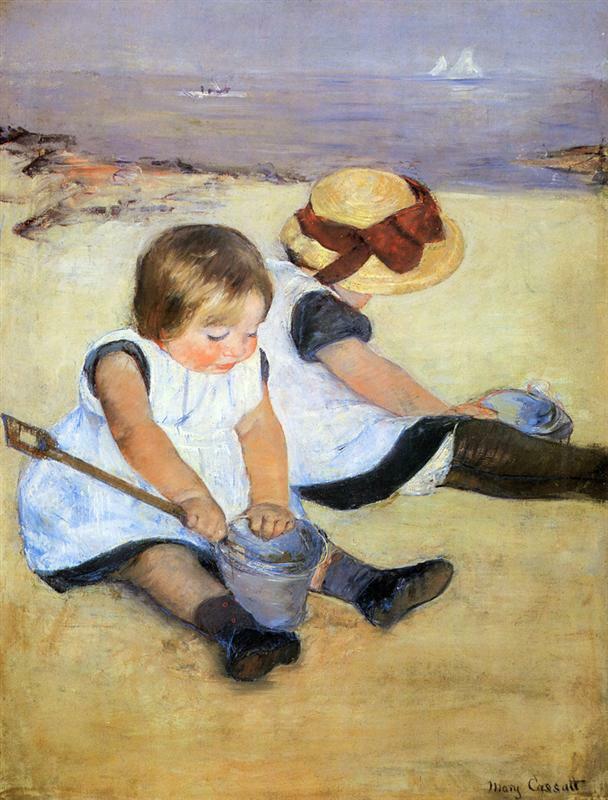 Women Artists in the Age of Impressionism is organized by the American Federation of Arts. Guest curator Laurence Madeline, Chief Curator for French National Heritage, was aided by Suzanne Ramljak, AFA Curator, and Jeremiah William McCarthy, AFA Associate Curator. Presentation of the exhibition at the Speed Art Museum is coordinated by Erika Holmquist-Wall, Chief Curator at the Speed Art Museum. 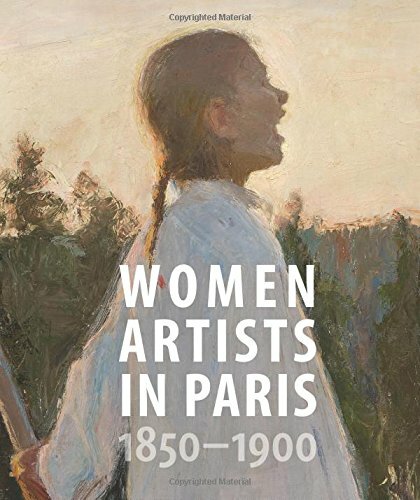 Featuring thirty-six artists from eleven different countries, this beautifully illustrated book explores the strength of these women’s creative achievements, through paintings by acclaimed Impressionists such as Mary Cassatt and Berthe Morisot, and extraordinary lesser-known artists such as Marie Bashkirtseff, Anna Bilińska-Bohdanowicz, Paula Modersohn-Becker, and Hanna Pauli. It examines their work against the sociopolitical background of the period, when women were mostly barred from formal artistic education but cleverly navigated the city’s network of ateliers, salons, and galleries. Essays consider the powerfully influential work of women Impressionists, representations of the female artist in portraiture, the unique experiences of Nordic women artists, and the significant presence of women artists throughout the history of the Paris Salon. By addressing the long-undervalued contributions of women to the art of the later 19th century, Women Artists in Paris pays tribute to pioneers who not only created remarkable paintings but also generated momentum toward a more egalitarian art world. Reader: Single Life in Denver Can Be Awesome! Berthe Morisot (French, 1841-1895). "The Sisters," 1869. Oil on canvas; 20-1/2x 32 in.National Gallery of Art, Washington D.C., Gift of Mrs. Charles S. Carstairs, 1952.9.2. Courtesy American Federation of Arts.